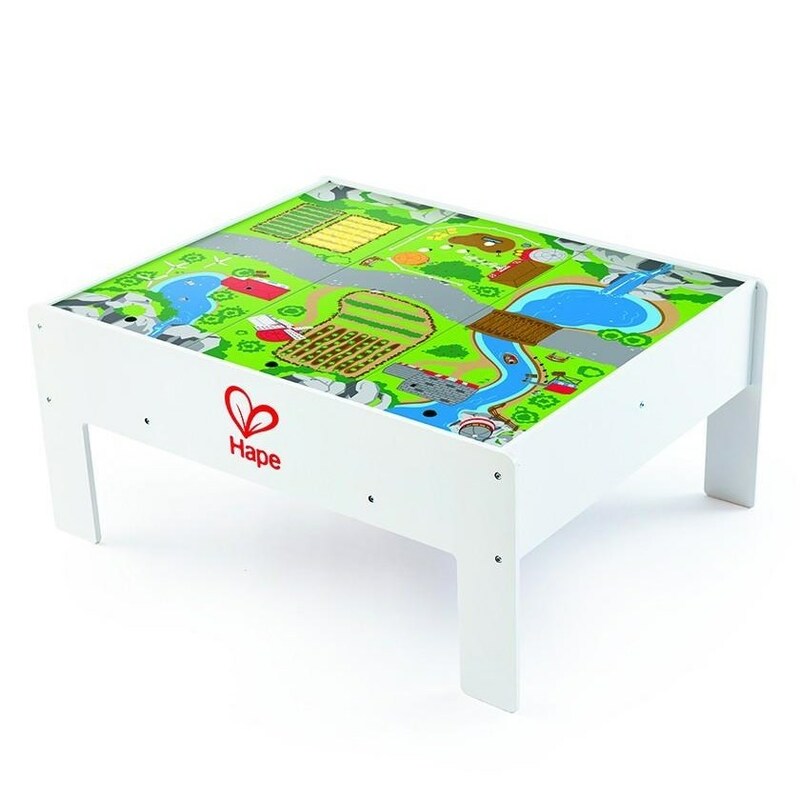 This reversible multi-purpose storage table features two sides (a jungle and a city mode) to encompass different play modes and storylines for every child's unique style. 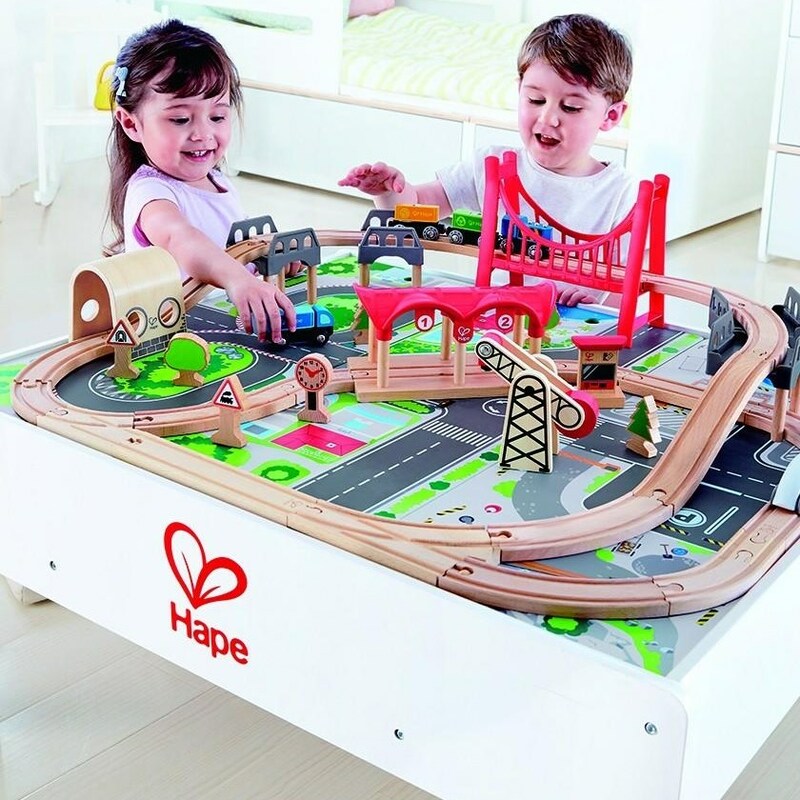 The railway set pictured not included. Contains 4 pieces. Assembly required.